DAYTONA BEACH, Fla. – Brad Keselowski might as well sign up as the next celebrity target at a comedy roast. His fellow NASCAR drivers already have plenty of practice hurling cutting barbs his way – just minus the rim shot. For each blunt opinion Keselowski has about the state of NASCAR, drivers have two or three zingers ready to fire right back at “Bad Brad”. Not even winning the 2012 Sprint Cup championship earned Keselowski his proper place at the big boys’ table. He’s yet to earn as much respect in the garage as former champs Tony Stewart, Matt Kenseth, Jimmie Johnson and Jeff Gordon. Heck, Keselowski even took the rap for costing Gordon a shot at a fifth title when they tangled in an accident on a late restart at Texas. Keselowski has accepted the black hat, better to stir reaction with an outspoken opinion or two than build a career as an irrelevant driver. If he’s failed to gain many best friends in the sport, it’s a small price to pay for having the type of passion that energizes him to be among NASCAR’s best drivers. Even Keselowski’s detractors can’t deny his talent. He’s coming off a career-best six wins with 17 top-fives driving the No. 2 Ford for Team Penske. 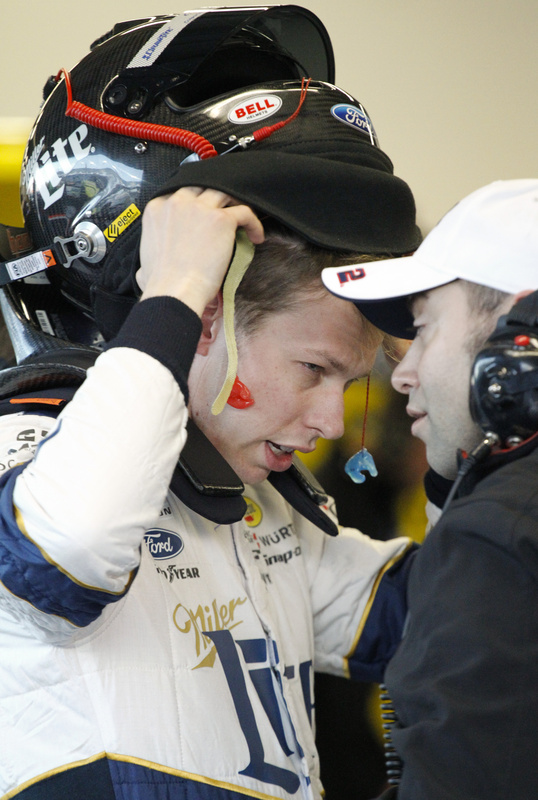 “I feel like I am a top-three driver in the Sprint Cup series,” Keselowski said. He mentioned reigning series champion Kevin Harvick and Carl Edwards as the other two drivers in the gold-silver-bronze class.